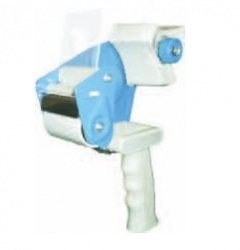 From basic simple tape dispensers to higher quality pistol grip tape dispensers we stock a range of applicators to make packing your boxes more efficient. Our pistol grip tape dispensers make sealing boxes ready for distribution efforless in warehouses or distribution depots. 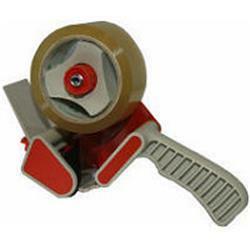 Most of our pistol grip tape dispensers are made for 2″ wide/ 50mm wide packaging tapes but they work equally well with 1″ wide/ 25mm width rolls of cellotape, this makes christmas, birthday and wedding presents easy to wrap.